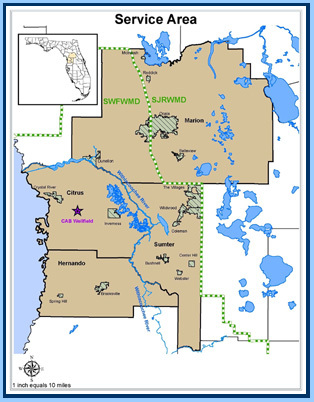 The Withlacoochee Regional Water Supply Authority (WRWSA or "Authority") is a multi-county special district of the State of Florida charged with planning for and developing cost-efficient, high-quality water supplies for its member governments. The Authority promotes environmental stewardship through its water conservation programs and will develop alternative water sources when necessary to augment traditional water supplies to meet the regions long-term needs. The WRWSA is created by Interlocal Agreement among its member counties. Originally created in 1977, the Interlocal Agreement was revised in January 2014. This statement is issued and maintained under the authority of Section 120.54, Florida Statutes (F.S.) and Chapter 28-101, Florida Administrative Code (F.A.C.). The Charles A. 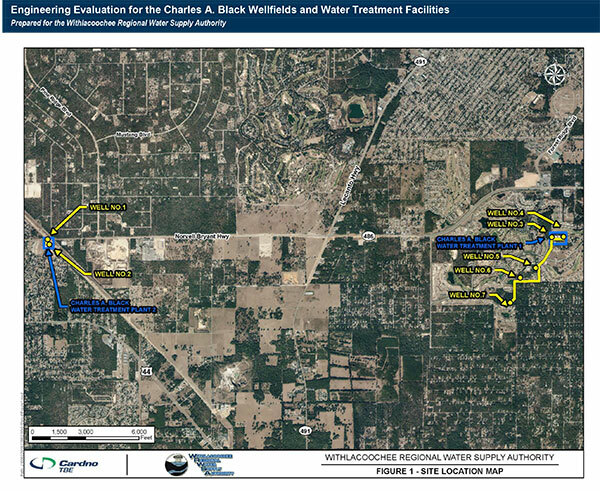 Black Water Supply Facility (CABWSF) is the first wellfield and water supply facility developed by the Authority. It was constructed with financial assistance from SWFWMDs Withlacoochee and Coastal Rivers basin boards. The development of this facility was the first step toward implementation of the Authoritys Regional Water Supply Plan and in making the Authority self-sufficient. View WRWSA Board Representation from each of the member counties and cities. 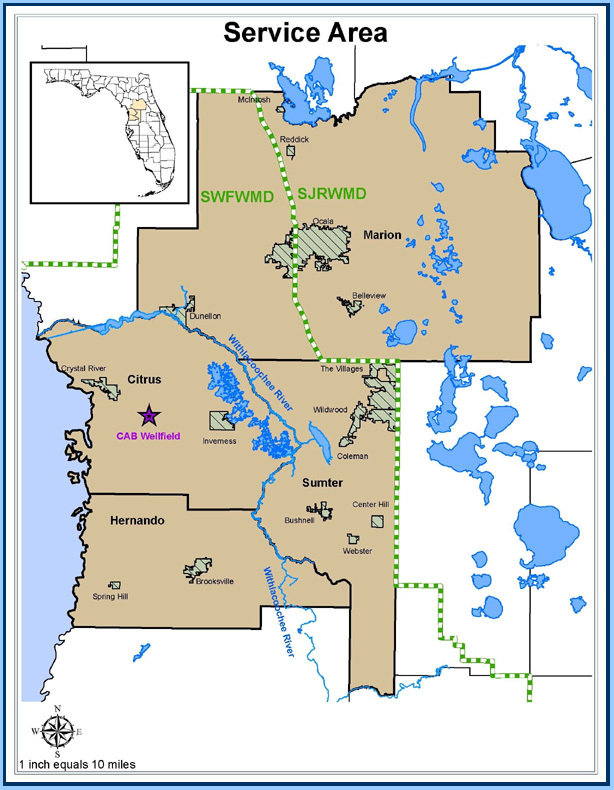 Since its inception, the Authority has moved forward with water supply planning studies; construction of its first regional water supply facility in Citrus County and; developed a cooperative funding program to provide grants to assist member local governments in developing adequate water supply facilities and water supply conservation projects. continued cooperation with Citrus County in operation of the Authority’s Charles A. Black Wellfield and Water Supply Facility (CABWSF). updating of the Regional Water Supply Plan. Mr. Richard Owen, AICP, serves as the Authoritys Executive Director. Mr. Owen started with the Authority in July 2012. He has 30 years of experience with water resource issues, planning and resource management with the Southwest Florida Water Management District, as well as experience in private consulting firms. As Executive Director for the Authority, Mr. Owen is responsible for all operations and management of consultant contracts, budgeting and financial matters of the Authority. Mr. Owen holds a Masters of Public Administration and a Masters in Economics from the University of South Florida. Mr. Larry Haag is a partner in the Haag, Haag, & Friedrich, P.A., which has served as General Counsel to the Withlacoochee Regional Water Supply Authority since 1978. He has represented the Authority since 2001 following his partnership in the Haag, Haag, & Friedrich law firm located in Inverness, Florida. He has represented various private and public entities in Florida since 1974, including 24 years as the Citrus County Attorney. He received his law degree from the Oklahoma City University of Law and is admitted to the bar in Florida and Oklahoma. He is a member of The Florida Bar, the Oklahoma Bar Association and the Citrus County Bar Association. Ms. Salz is president and owner of Diane R. Salz Governmental Affairs Consulting, established in 2001. Since 2003, the firm has advanced and protected the interests of the Withlacoochee Regional Water Supply Authority before the Florida Legislative and Executive Branches of government. Ms. Salz has 30 years of professional problem solving experience for local, state, and regional levels of government. She has held responsible positions representing water management districts, state agencies, a statewide municipal association, and numerous counties and municipalities throughout the state of Florida. Ms. Salz holds a Masters degree in Urban and Regional Planning from Florida State University. LuAnne Stout contracted with the Authority as Administrative Assistant in July 2015. She has 36 years of experience in executive and budget administrative positions for water management in the state of Florida. As the Administrative Assistant for the Withlacoochee Regional Water Supply Authority, she assists the Authority in day-to-day operations and serves as the project manager for the Authoritys irrigation system evaluation programs.